One outdoor shoe is not like another. From trekking sandals to winter boots there are several types of shoes that fit this category. The following informational text explains the different types of outdoor shoes for women and serves as an aid to choose the right model for your individual activity. Outdoor shoes for women usually differ from the models for men in look and size. Usually, they are slim fitted and have a narrow last as well as a light weight and fashionable design. Furthermore, you can divide outdoor shoes for women into sandals and water shoes or other open shoes for outdoor use (such as slippers for use in the garden and casual use or toe sandals), hiking, climbing and approach shoes, mountaineering boots, expedition boots as well as winter boots. The tougher and steeper the terrain, the more stable and massive the outdoor shoes for women become. The thickness of the sole depends on the type of your activity. For hiking with a lot of baggage and long distances in the summer you might want to go for padded sandals. On the other hand, you can wear the waterproof and lightweight hiking shoe in combination with warm socks to protect you from the cold just as well in winter. 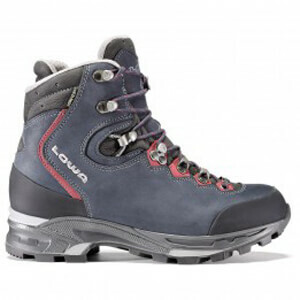 Generally speaking, you should consider the type and the thickness of the sole as well as the design (low profile, with a shaft, open, half open) and, of course, the upper material when buying outdoor shoes for women. A shoe for the summer should have enough ventilation. In this case a thin, climate-regulating mesh is a better pick than a waterproof membrane. In winter smooth materials are easier to clean and the shoe for women should provide good protection form snow and rain (membrane or waxed leather). Leather is superior to synthetic fabrics in terms of comfort and durability but needs a certain running-in time and regular maintenance. You should consider the small things, too. The details are what make the outdoor shoes for women suitable. These are the lacing, symmetry, pre-tensioning and lasts for climbing or approach shoes, shaft height and lining for hiking shoes and crampon-compatibility for mountaineering boots. By the way, you can have many of the high-end boots for women resoled by a shoemaker or the manufacturer after wearing down the soles!